A prisoner plots a breakout from Europe's most secure prison. For three decades, Northern Ireland's Maze prison (aka Long Kesh) housed prisoners convicted of engaging in terrorist activities from both sides of the political and religious divide, though the vast majority of inmates were of the Republican Catholic persuasion. Custom built during 'the troubles', it was considered Europe's most secure prison, yet on September 25th 1983 no less than 38 Republican prisoners managed to break free. A high profile production, H-Block, rumoured to be directed by Jim Sheridan and reputedly starring Cillian Murphy, Jamie Dornan and Pierce Brosnan, is apparently in the works, but before then we have writer-director Stephen Burke's take on the escape. 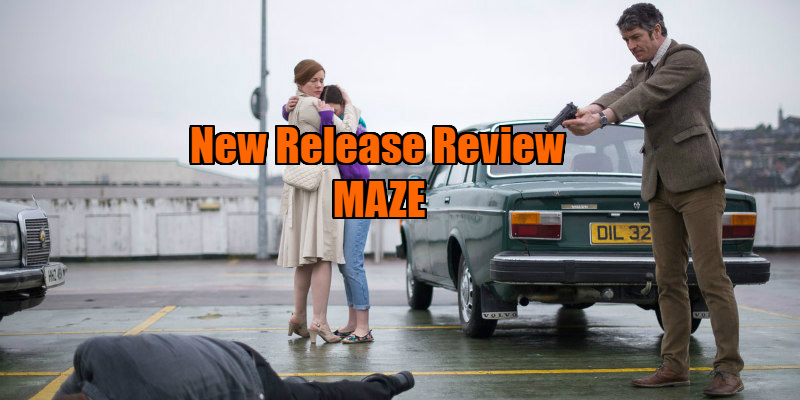 Maze focusses on IRA prisoner Larry Marley (Tom Vaughan-Lawlor, best known as the star of cult Irish crime drama Love/Hate), the mastermind behind the breakout. Initially involved in the hunger strike of 1983, Marley breaks the strike and is sent, along with other Republican strike breakers, to a wing designated for Loyalist prisoners. Feeling he has betrayed those continuing the hunger strikes, Marley sets his mind on planning a mass breakout as a show of defiance. To do so, Marley attempts to befriend prison warden Gordon Close (Barry Ward) by volunteering for cleaning duties. At first Close has no interest in becoming buds with a member of the organisation that killed his brother, and when he foils an attempt to murder his entire family, Close becomes even more reticent to engage Marley in smalltalk. With his quiet charm however, Marley begins to slowly win over the warden. As a prison breakout movie, Maze is found lacking. Burke struggles to communicate the mechanics of Marley's plan in a clear fashion, and there are more than a few moments where you're left asking questions about how certain elements were pulled off so easily. For those without a dog in this particular fight, it's difficult to root for Marley, knowing how many innocent lives would subsequently be taken by the escapees. Marley was imprisoned for relatively minor offences, but the film never reveals this, which will likely lead many viewers to assume him a killer. 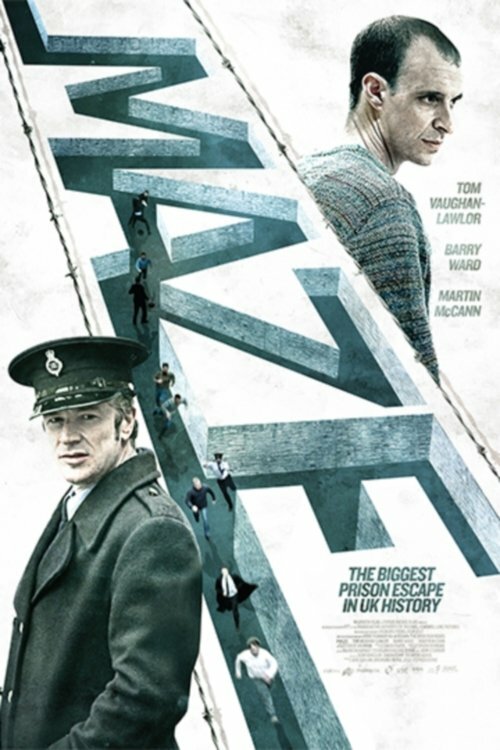 Where Maze succeeds is in the central relationship between Marley and Close, two men who gradually come to realise they have more in common than either would like to acknowledge. The film is a damning condemnation of stubborn male ego, with both Marley and Close becoming estranged from the women in their lives due to their pig-headed commitment to their respective causes. Most of us would cross the street to avoid men like this in real life, but as portrayed by Vaughan-Lawlor and Ward, it's difficult not to warm to the pair. Maze is in UK/ROI cinemas September 22nd.